Ready to go back to work? 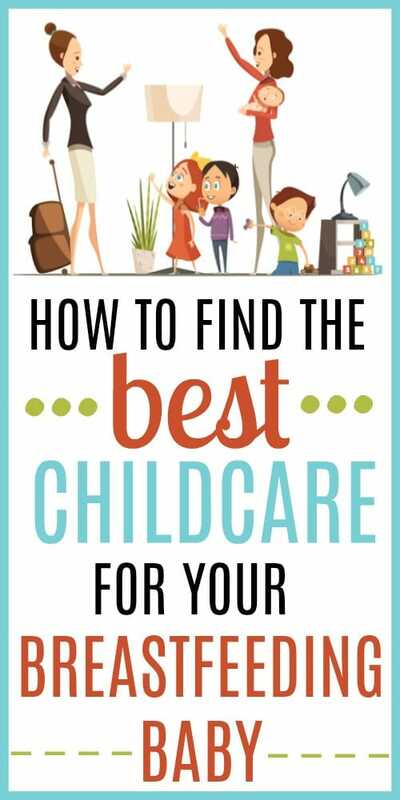 We gathered advice and tips for finding the best childcare for any working and breastfeeding mother from other moms just like you. For many new breastfeeding moms, one of the most stressful things about becoming a parent is trying to find good reliable and safe childcare for your baby. We found these tips will make it a little easier. Child care plays a key role in supporting breastfeeding moms. Babysitters, nannies, and other child care providers should understand proper handling and storage as well as the best feeding practices for breastfed babies. Great childcare arrangements that include caregivers who are fully supportive of breastfeeding can make it possible for little ones to continue to be provided with breast milk when their moms return to work or school. Study after study shows that support is essential to long-term breastfeeding success. Two children leave an in-home childcare facility and walk more than two miles alone, before stopping into a local business to beg for water. Children under the age of three are left alone by babysitter for most of the day, without any food or water. Infant dies in the care of live-in nanny, reported to have abused the baby for many months before the death. Unfortunately, these stories are not fiction. These are just a few recent stories from around the country. It seems children are no longer safe, even when left in the hands of adults supposedly trained to care for them. We say any of this to scare you, but to let you know that we understand how scary this can already be! We are moms too! We get it. This is the reason so many parents (like us moms at Breastfeeding-Magazine.com!) are so paranoid about going to work and leaving children in the hands of babysitters and day care workers. In fact, many children are not even safe with in-home nannies hand-selected by the parents! Determined to find someone that I could trust to care for my child before I went back to work, we started searching out childcare options very soon after giving birth. We quickly discovered that the information is out there if you know where and how to seek it out and can give you peace of mind when you return to work or leave your children with a babysittier. Do not put yourself in the position of learning the hard way. The “hard way” could mean putting your children in danger! If you want to protect your children from the start, you have to reach out to others in your community. Start with trustworthy figures who work with children in your local community. Teachers, preschool personnel, pastors and Sunday school teachers may know which daycare centers and in-home providers are the most trustworthy. Reach out to your friends and relatives as well. The easiest way to do this is to ask on Facebook so your friends will see that you are interested in childcare. Many will be more than willing to share not only who they trust, but who they have had negative experiences with in the past. Don’t expect those with private nannies to offer up their provider’s name and number, but they may know someone equally as reputable to recommend. Ask your service providers as well! Many parents never think about this, but I found one of my favorite sitters through recommendation of my hairdresser. She was a responsible college student who took excellent care of my child, and even took care of my house and dog when I went out of town. I would have never met her without that referral while getting my hair cut. 2. Who Needs Some Extra Cash? Think about people who know and trust who may need some extra cash from time to time. I had a friend who would babysit for me when needed, simply because the extra pocket change was needed. Think about people you know and trust who may need some extra cash at times, and you could find a good babysitter who can be called on when the need arises. Matching services like Care.com work much like matchmakers in the dating industry. 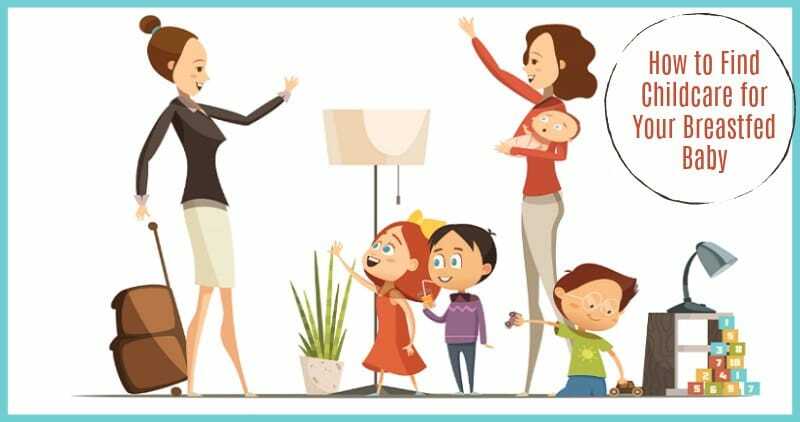 They employ high quality, background-checked childcare providers from all over the country, and match them to parents in search of nannies and sitters. You can go online and search their database to find many childcare options, and you can request a thorough background check before hiring them. You won’t find daycare facilities this way, but it is a great way to find reputable private sitters and nannies in your area. Click here to start a FREE basic membership that lets you browse through the active care providers on the site for FREE. Think about parents you know and trust in your community. Can you think of anyone who has a need for childcare who may be willing to work out a special arrangement? If so, you could easily find a way to swap childcare services both of you feel at ease when you are away from home, and you both save some money. I have a couple friends who swap kids, since their work schedules are opposite. It can work out wonderfully! Sometimes parents find that THEY are the best team to watch their kids. With the rise in telecommuting and work-form home options, some parents learn to rearrange their work schedules or change jobs so they can both keep working but just not at the same time. This allows the children to always be with one parent instead of hiring someone to come in. This can also be supplemented by having a “mother’s helper” come in and play with children while you and your partner are home but working. This may no be an option for everyone, but for some families is the ideal choice. I used to have a lot more anxiety about leaving my baby with a sitter when I was breastfeeding, and I know many other new mothers as well. Through research and trial I discovered some things that helped me feel better about leaving my baby, while protecting my child. I want to share these things so you can protect your babies as well. Private sitters who can work in your home can be much more convenient than daycare centers or in-home providers who sit many children at once. Your baby will be exposed to fewer children, which means they will not pick up every bug and virus that goes around. You do not have to drag the baby out in bad weather, and you can keep the little ones on a consistent schedule that doesn’t revolve around your own schedule. You do not have to worry about calling off work when the daycare center closes. Sitters who have breastfed their own babies are far more understanding and knowledgeable than those who have not. I was always biased toward sitters who had this experience, because they understood breastfeeding and were far more understanding. Try to find a job that allows you to work from home, at least some of the time. I was working from home with my third baby, and it was so much easier than pumping ahead of time. I simply came out of my office at feeding time, and enjoyed that bonding and snuggle time with the baby. Whether you are looking for a full-time nanny or an occasional sitter, a privet provider or a local daycare…Do a Background Check! I cannot stress this point enough. If you have ever listened to a report about a child being abused or neglected by a babysitter or daycare service and asked yourself where the parents were, note that most parents were completely fooled by people who seemed to be loving babysitters. Some people can seem so nice and loving, but you do not know what they can become when dealing with your children behind closed doors. I used to be responsible for hiring caregivers to go into the homes of elderly clients and provide basic care and companionship. It always shocked me when the nicest people who seemed more than qualified for the job turned out to have abuse charges when I did the background check. One woman even assaulted her own mother in the past…and I would have hired her had I not completed the background check! If you are looking for a nanny or private sitter, go with referrals from people you trust or use a service like Care.com and spring for the background check. If you are looking for a daycare center, make sure to check their record with the state (they should be registered). Ask around to see what others have experienced with them as well. Find additional helpful childcare resources from the Amercian Academy of Pediatrics on their official website.